James 4:8-Draw near to God and he will draw near to you. Isn't that what we all want...for God to be close to us, leading us, guiding us, protecting us, and loving us? I know thats my hearts desire, but so often I act like it is God's responsibility to do all that when I don't even draw near to Him or seek Him. Yesterday I was so blessed because my sister, Grandma, and Aunt, all sent me some money for Valentines Day to help with the wedding! You know that feeling. I was all like God is taking such good care of me! Later in the day, I was reading in "The Power of a Praying Life" about laying up treasure in heaven and how trusting God to provide for our needs is so crucial. When we act like we are the ones working hard to take care of things, and stress ourselves out to make sure they get done and we do enough, it belittles God's power! Growing up, we always had just enough, or maybe it was just under enough. never had any money to spend on anything until I started working for myself at 14 years old. Even though right now I really am comfortable with my 3 jobs, and Jimmys full-time job, there is still a huge fear in my life of losing control and ending up like me family! That's why I work myself so hard. If there is anything I can do to stay on top of things financially, I will do it. I have never been in debt, never been a big spender, and feel secure only when I have money saved in the bank. Well the ironic thing is, last night, I got a phone call reminding me that I owed $500 in taxes and then another $200 doctor bill. For a college student, that is a lot. It really upset me for a while. Then I realized, that I was so happy when God had provided that extra money earlier, and I trusted Him then. I needed to trust him even more with these bills, that He knows exactly what he is doing in this situation. Luke 12: Therefore I tell you, do not worry about your life, what you will eat; or about your body, what you will wear. Life is more than food, and the body more than clothes....Who of you by worrying can add a single hour to his life? Since you cannot do this very little thing, why do you worry about the rest?....And do not set your heart on what you will eat or drink; do not worry about it. For the pagan world runs after all such things, and your Father knows that you need them. But seek his kingdom, and these things will be given to you as well....For where your treasure is, there your heart will be also. I have read this passage of verses more times in my life than I can count, but I always treated them as "feel good" verses. 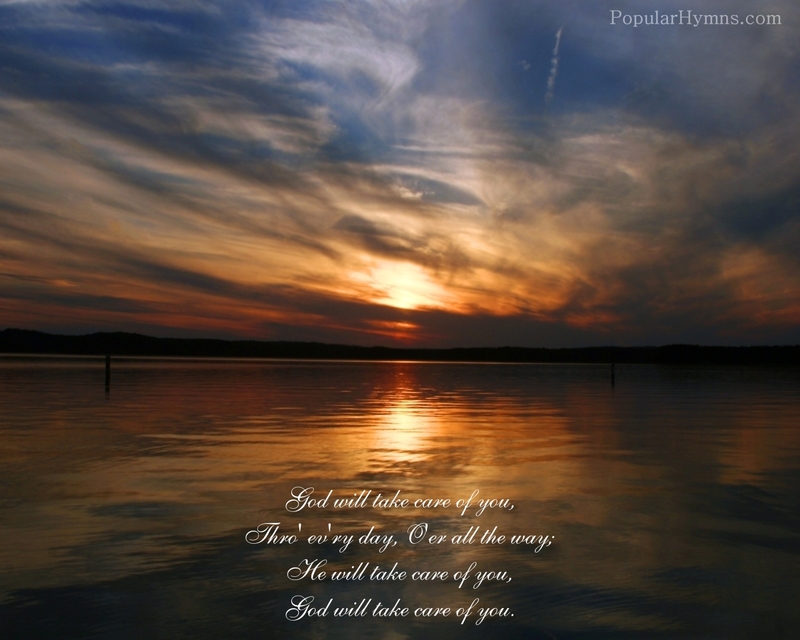 Aww God is going to take care of me, I don't have to worry etc. This morning when I read them, I realized it is so much more than that! This is God speaking to me, and commanding me not to worry. It doesn't really get any clearer than that. Working, and school, and stress, and all this stuff that takes up so much of our days...is not the important stuff! Even ministry is not the important stuff. It is seeking God's kingdom. Granted, all that stuff has its places in our lives, but think what a greater feeling it will be to know that we have stored up treasure in heaven, even if we don't have it all together here on earth. It's like an even better savings account that will never run out!